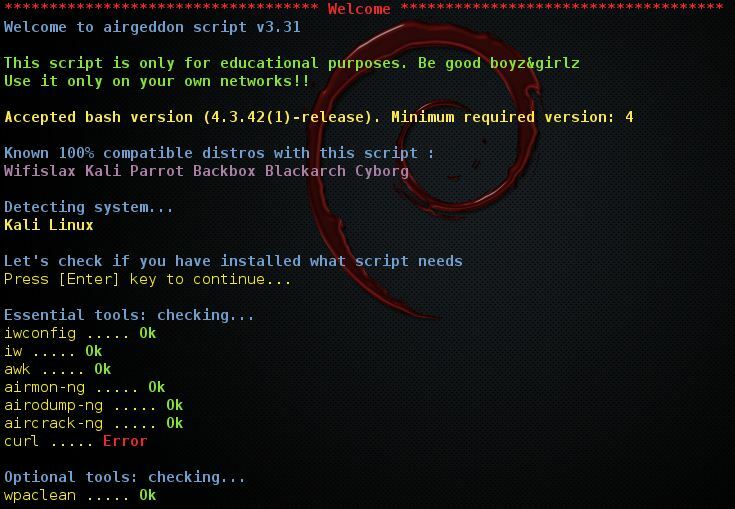 Browse: Home / Airgeddon v3.41dev – This is a multi-use bash script for Linux systems to audit wireless networks. + Interface mode switcher (Monitor-Managed). + DoS over wireless networks with different methods. + Assisted Handshake file capture. + Cleaning and optimizing Handshake captured files. + Offline password decrypt on WPA/WPA2 captured files (dictionary and bruteforce). + Compatibility with many Linux distros (see requirements section). + Easy targeting and selection in every section. + Controlled Exit. Cleaning tasks and temp files. Option to keep monitor mode if desired. + Multilanguage support and autodetect OS language feature (see supported languages section). + Help hints in every zone/menu for easy use. + Autoupdate. Script checks for newer version if possible. + Bash version 4 or later needed. 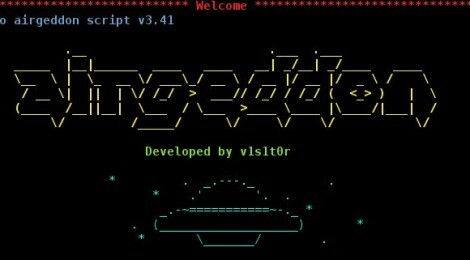 ← Datasploit – A tool to perform various OSINT techniques.